Hey.. some people like a fine wine pairing recommendation for the weekend. Not here! We have a #PeterParkers Pairing for you. There are only 2 so I couldn’t call them a #PeterParkers Plethora! But honestly… isn’t anyone getting tired of these people who don’t know how to park? Should we just rent a backhoe and have at it with these things? I guarantee the understand what lines mean when they’re watching a Steelers game! Hell, everyone knew what the line meant when Mike Tomlin stepped over it a few years ago during a Ravens game. Thanks Teisha Krupa and Becki Spaude for being Honorary Jagoff Catchers for today’s post! 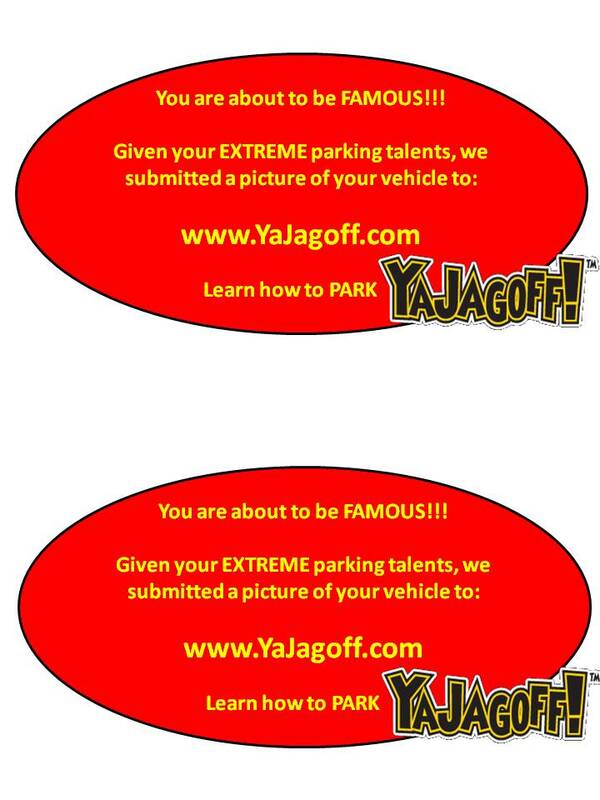 Feel free to click the Parking Note and print some off for free so that you have them! Previous articleA Car Vending Machine Coming to Pittsburgh? Next articleThe World Series is Rigged!